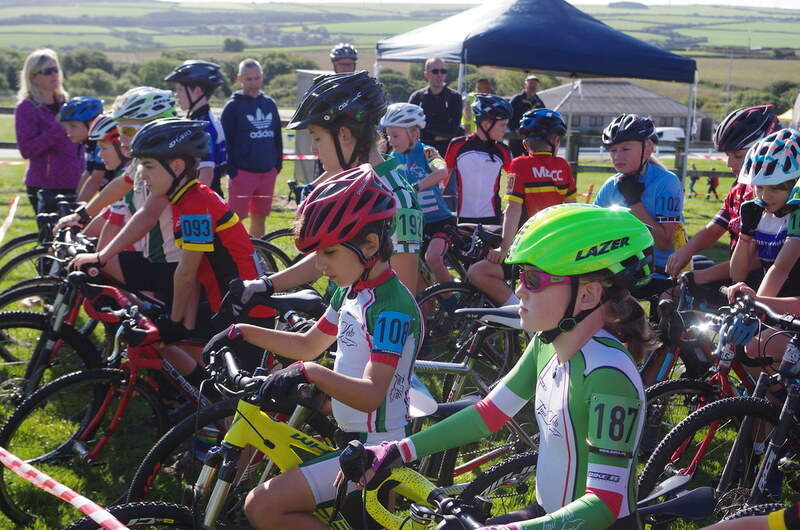 Riders competed in multiply events at the Sensational Cycling Saturday at the Cornish show ground. The weather made for excellent racing throughout the day with 239 riders taking part in the event. 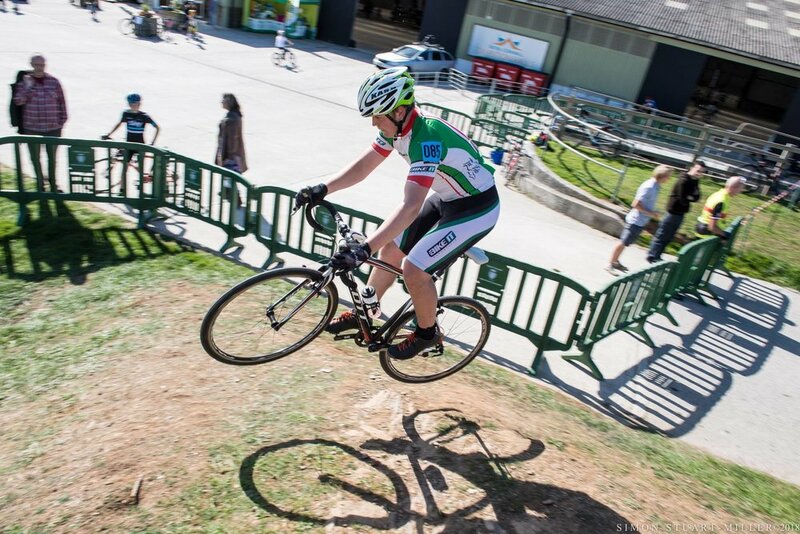 The organisers had made sure cyclist had a range of opportunities to race, including mountain bike, road and cyclocross, covering ages from 5 to 60+. The day started with cyclocross with the course traversing the showground taking in a number of different obstacles, with the highlight of the race going through the main covered areas, a first for the South west cyclocross series. The under 10’s race combined with the under 12’s had a large number of youngsters taking part. Sprinting straight from the start riders from local clubs spread the field out quickly. Young Edolie Wilson, who moved up category this year and is now racing older riders, held her ground and was able to finish in a respectable 4th place for girls. The under 12’s race was dominated by Max Standen and Louis Wright (Minehead Merlins). Max was able to get a good start and take the lead with Louis chasing for position. Max held onto first, until the final lap when Louis was able to sprint past him and take the top spot on the podium. Louis Garnsworthy gave chase throughout the whole race; however he was unable to bridge the gap to the leading pair. Other male riders also managed to secure respectable places, Rhys Cooke, Morgan Wilson and Luke Mahoney. In the girls race Georgia Mahoney found herself having to work really hard on the testing course to fight for the top spot. Tough racing between her, Molly Lane (Pilgrim Flyers) Eva Fox (Wheal Velocity)_ ensured a spectacular race, in the end Georgia took 3rd place. The under 14’s males, Jacob Blease and Arron Webber competed for positions. The steep off camber incline made the race more challenging for the riders, making sure the skills they had learnt were put to the test. Ellen Garnsworthy rode a tactical race, making sure she took the top spot. The under 16’s race was fast, now with the off camber bank starting to deteriorate, riders started to find the steep incline tough. Sam Medlyn from One and All cycling created a gap between him and the main field. Dylan Dayman just missed out on a podium place, coming in 4th. Edward Armstrong, Shaun Duffield, Ethan Roberts also finished in respectable places. The under 16’s girls, Emma Spriggs battled for positions with Rosie Andrew (Pilgrims Flyers) on the testing course. In the end Emma took 2nd place and Ellen Webber 5th. Charlie Thompkins represented Taw Velo in the road race category. Starting in the pack, Charlie watched the other riders, before making his move. After the 4th lap, Charlie decided to make for a break so he could secure the win. Remaining out in front of the pack for the remainder of the race, Charlie took 1st with an easy win. 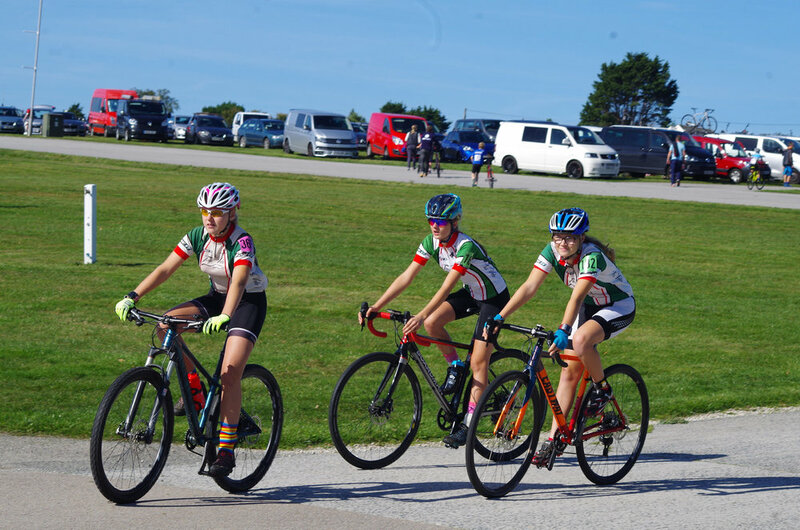 To continue with the days racing, the organisers had included the schools game category, a mountain bike race around the various tracks around the show ground. Taw Velo’s Dylan Dayman and Rhys Cooke both took 1st place in their respective categories. Max Standen and Morgan Wilson both represented their schools and just missed on podium places. Members of Taw Velo ventured out to Minehead to take part in the hill climb. Running every year at this time as the road season comes to a close, the event draws in a significant number of riders from across the country. Emma Spriggs represented the girls for Taw Velo, not tired from the previous days racing, Emma showed her strength on the hills. After a summer of training around the hills of Mount Ventoux in France, Emma was able to win her category. Rhys Cooke also in his second day of racing, managed to secure 2nd place for his age. Older PostTaw Velo Chair Jamie Adams stands down.